[Fatal Error] :6:3: The element type "hr" must be terminated by the matching end-tag "</hr>". You don't support Autobot anymore? Tech doodle check your private messages please! 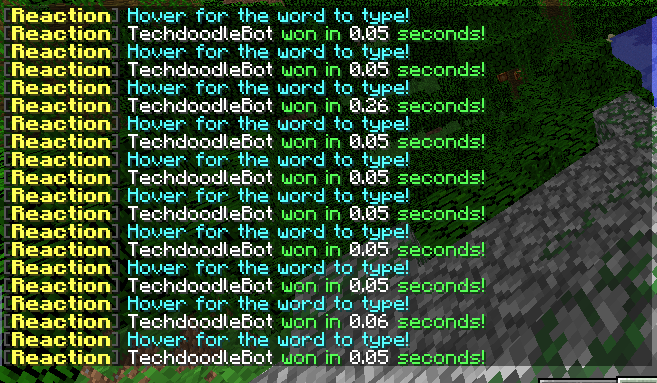 Hey Techdoodle, please reply or private message me as I need a custom enchants plugin pretty much exactly like treasure wars, except with enchanted books instead of emeralds. I am willing to pay up to $20 AUD, so message me if you can. Hello, Techdoodle do you respond to private messages? I try, but I've lately been really busy, sorry. Unfortunately this is caused by something that is difficult to control. CloudFlare has recently been blocking requests to my update api which has made the auto updater break. Don't worry though, it doesn't crash the server. There is no errors in console. MCSV and Cldfire like this. Hello techdoodle! I need regual custom enchant plugin to be edited and making it like its on cosmic the server that is owned by woofless.i will add little changes tho. But for further information contact via skype :pirate3650 or just pm here. Yay, with curl I can programmatically get the buyers from any of my plugins! Same ^-^ I've got at least 40 plugins yet to be released. Just filtering out the simple plugins. I currently enjoy making plugins and posting them here on spigot. If you have any suggestions for plugins I could make, please tell them to me. Well, lucky for you, I have some!